« Why are Annual Eye Exams So Important? 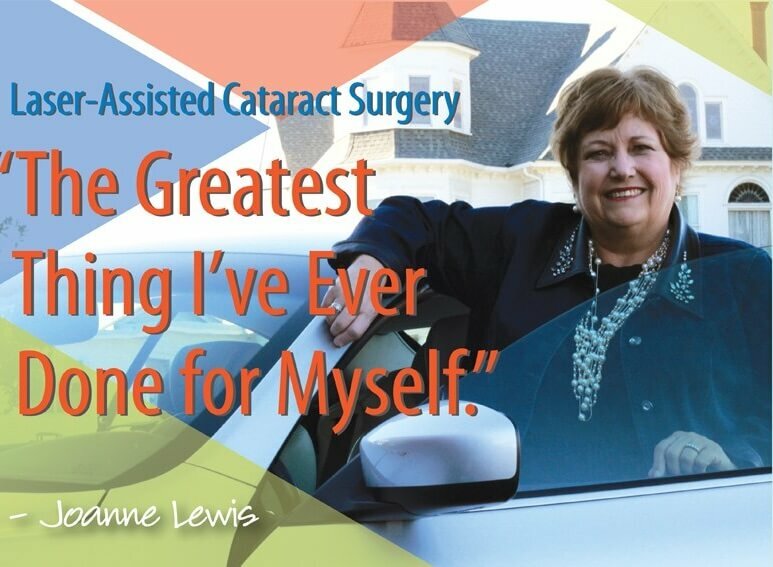 If you are considering cataract surgery, you should read this article (and click “Read more”) to learn about another of our amazing patients, JoAnne Lewis – through her own words and video – and how Laser-Assisted Cataract surgery changed not only her vision but her quality of life. In JoAnne’s words, she says this surgery “…is the greatest thing I ever did for myself!” Traveling the world is JoAnne’s passion – now she can see everything so much clearer…without glasses. Laser-assisted cataract surgery with multi focal lens changed her world. Cataracts, the leading cause of preventable blindness, develop when the eye’s lens becomes cloudy which impairs vision. Surgery to remove the old lens and replace it with a new, clear lens is an effective method for improving poor eyesight due to cataract development. South Georgia/North Florida Eye Partners’ own Dr. Scott Petermann performs LenSx® – a blade-free, laser-assisted cataract surgery which is the latest in cataract correction procedures. This technology is an advanced alternative to traditional cataract surgery, which utilizes surgical blades. LenSx® provides the surgeon with micron-level precision and improved predictability. The procedure is tailored to the surgeon’s specifications and delivers a remarkable degree of accuracy. By creating the incisions and fragmenting the clouded lens with LenSx®, the surgeon creates a precise opening for the new lens to be optimally positioned. Eye Partners performs cataract surgery with LenSx® as an outpatient procedure at our state-of-the-art surgery center in Valdosta. Pre-op and post-op visits for Eye Partners patients can be scheduled in Valdosta, Tifton, Moultrie, Douglas and Madison, FL. To learn more, click here. This entry was posted on Tuesday, February 5th, 2019 at 3:50 pm	and is filed under Blog. You can follow any responses to this entry through the RSS 2.0 feed. Both comments and pings are currently closed.